The 31st episode of the Word&Way podcast, Baptist Without An Adjective, is now out. 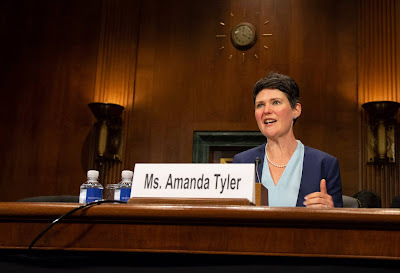 This bonus episode features congressional testimony by Amanda Tyler, executive director of the Baptist Joint Committee for Religious Liberty. She testified on Oct. 2 in a hearing on "Threats to Religious Liberty Around the World," which was held by the U.S. Senate's Judiciary Subcommittee on the Constitution. - You can listen to the second episode with Amanda Tyler online here or in the player above.